The Springboks took a 2-0 lead in the three-match series after a 23-12 win in Bloemfontein last weekend and that triumph consigned England to five Test defeats on the bounce. The pressure on Eddie Jones has mounted over the last month, but the RFU has backed the Australian as England look to avoid their worst run of results since 2006. 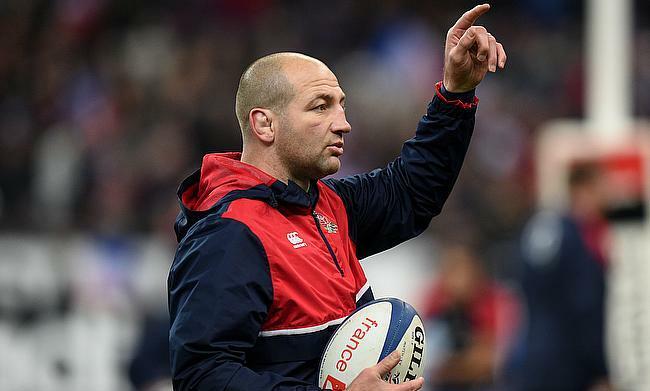 And Borthwick admits Jones’ coaching team are on the same page as the Rugby Football Union. He said: "I have worked for Eddie for a long time now. I see consistency. "He's an excellent coach - we all know that - and what this England team has done over the last couple of years with the work he has led has been tremendous. "I see someone who is continuing to work to help this team get better, as we all are. He is leading this squad tremendously well and we believe in him and know we will turn this around and get the results we want. "As coaches, we always have robust conversations because that is the nature of coaching. "We discuss the direction we want and get on with delivering it as a coaching team, and that is with Eddie Jones as our head coach. "We believe that we will turn this around and get the results we want." After losing just one of 26 matches under Jones following his appointment at the conclusion of 2015 the Rugby World Cup, England are now in a slump and on Saturday, they will be searching for their first victory since February when they beat Wales in the Six Nations at Twickenham. Borthwick continued: "We all know the results are not where we want them to be. "I along with everybody else involved in the England squad is determined to turn the results around and get a win this weekend."